People today have access to endless pleasures and luxuries: cars to drive, clothes to wear, vacations to take, and entertainment to enjoy. Yet despite the fact that the pursuit of such things is the norm in our world today, this mind-set is opposite of what God desires for his people. How, then, are Christians to relate to the world in which we live? In Worldliness, C. J. Mahaney and fellow pastors such as Dave Harvey, Jeff Purswell, and Bob Kauflin wisely lead us to see the often subtle presence of worldliness in our hearts. Looking specifically at the media we consume, the music we listen to, the modesty we cultivate, and the material possessions we collect, this book stands as a passionate plea for Christians to avoid the dangers of being shaped by the world and instead pursue godliness through the grace of the gospel. 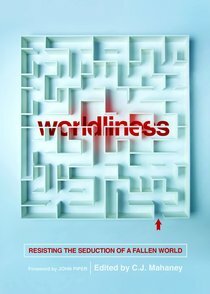 About "Worldliness: Resisting the Seduction of a Fallen World"